The U.S. Men’s National Team announced its roster way before FIFA’s June 2 deadline, and there were a couple of shock selections, to say the least. Here is a player-by-player breakdown of the 23-man squad that will carry the hopes of a country to Brazil. 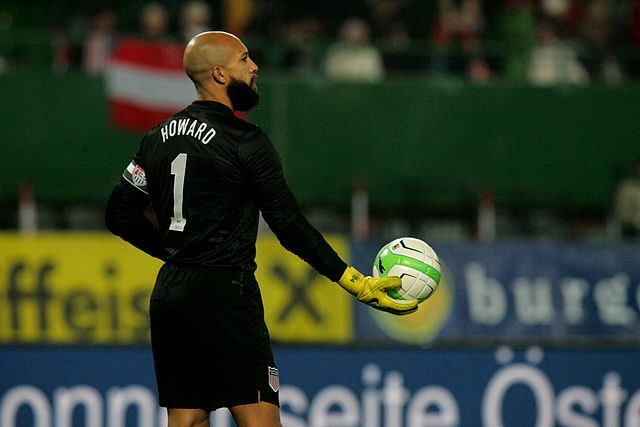 Tim Howard (above): He is the clear No. 1 goalie in this group. He plays for Everton in England’s Premier League and is considered a top goalkeeper around the world. His strengths are shot-stopping and taking command of the 18-yard box. His weakness? Every once in a while he gets beat at the near post, which should rarely happen to top-level goalkeepers. Brad Guzan: The No. 2 goalie in this squad. He will more than likely take over for the 35-year-old Howard after this World Cup is over. His club is Aston Villa in England’s Premier League. His strengths are his leaping ability and quick decision-making. Nick Rimando: The No. 3 goalie. He is good, but he will not see action unless multiple injuries occur. He plays for Real Salt Lake in the MLS. His strength is being very good with his feet in tight spaces. As goalies are not allowed to pick up intentional back passes, teams tend to not pass it back to their keeper unless there are no opposing players around. Not a problem with Rimando as your goalie. His weakness is his height. He is 5 feet, 9 inches tall. 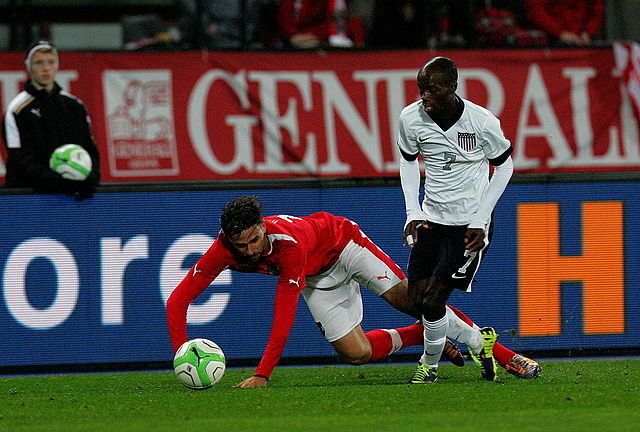 DaMarcus Beasley (above): A player who normally lines up on the left side of the midfield, he played on the left side of defense during World Cup qualifying for the USMNT. He is scrappy, fast, and doesn’t give up, but he can give up some silly fouls and be caught out of position due to lack of experience as a defender. He is the backup to Fabian Johnson for the left back position. Matt Besler: The only locked-in starter for the USMNT’s back line. He has spent his entire pro career with Sporting Kansas City in the MLS. He has great positioning and can make good tackles. He is also a very vocal leader on the field. The only possible weak point is that he can get pushed off the ball every once in a while. John Brooks: A young German American who has a lot of potential but still needs to let his game develop. He has size and strength, but he lacks experience. He just finished his first season in the German Bundesliga with Hertha Berlin, where he was in and out of the starting lineup due to injury and inconsistent performances. His last game with the USMNT before the roster was announced was in the 2-0 loss against Ukraine, during which he looked very shaky and played a huge role in both goals that were conceded. Geoff Cameron: The most versatile defender on this roster. He can play as a right back and as a central defender; he can also play as a central midfielder in a pinch. He plays right back with Stoke City in England’s Premier League. He’s a weekly starter but prefers playing in the center of defense. Given the inconsistency and potential injury problems of Omar Gonzalez, Cameron may start along with Besler in the middle when the U.S. lines up against Ghana on June 16. Timothy Chandler: A German American who is a bit of a mystery to American fans. He sat out two summers’ worth of games that would have tied him to the USMNT forever. He came around in late 2012 and proceeded to have a bad game against Honduras at the beginning of the 2013 phase of World Cup qualifying. He did not make another appearance for the U.S. before he was selected to the roster. He plays weekly as a right back for Nürnburg in the German Bundesliga. He is a good dribbler, very fast, and likes to join the attack in overlapping runs. His weakness may be heat. 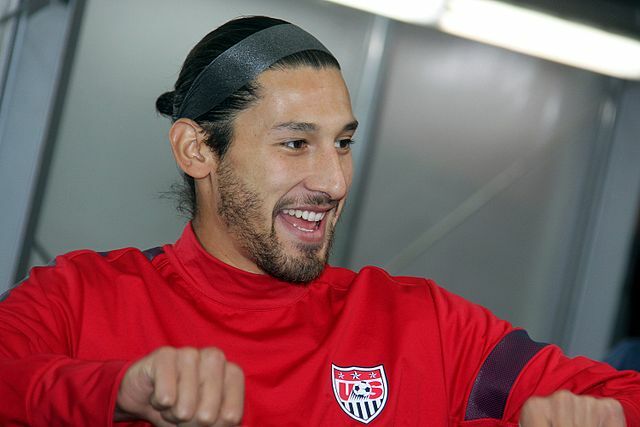 Omar Gonzalez (above): Ever since the U.S. went 0-0 against Mexico in World Cup qualifying, head coach Jurgen Klinsmann has seemed to like the central pairing of Gonzalez and Besler the best. Gonzalez is a tall defender who is quick and good at winning headers. However, throughout 2012 and 2013, there were various examples of Gonzalez “ball-watching,” which gave other teams great chances at scoring goals. Unless his performances improve — and soon – he may not be a good risk to take at a World Cup ,where one goal can alter a team’s fate. Fabian Johnson: A German American who has a nice left-footed cross. He can play either on the left side of defense or on the left side of midfield. He recently completed the German Bundesliga season with 1899 Hoffenheim. He loves to make overlapping runs and join the attack from the left back position. He will more than likely be the starter at left back when the USMNT takes the field against Ghana. DeAndre Yedlin: A young, fast defender who plays for the Seattle Sounders in the MLS. He loves to join the attack from the right back position and use his athleticism to beat an opposing player one on one. His weaknesses are being caught out of position and rash decision-making. He was not playing well leading up to the U.S. camp, especially in a 5-0 thumping by the New England Revolution. It would be a stretch to see him as a starter in Brazil. Kyle Beckerman: Once a promising youth player, Beckerman seemed to be content being an above-average MLS player for many years. A couple of good seasons with Real Salt Lake led to him seeing a lot of time for the USMNT over the past few years. Fans either love him or hate him; he seems to have improved dramatically under Klinsmann. He likes to sit in front of the defense and break up counterattacks. He also makes himself available to shift the attack from right to left, or vice versa. He is very disciplined when it comes to holding his position and rarely gets caught out of place. The battle for a starting spot is between him and Jermaine Jones. Alejandro Bedoya: A winger who has come on strong for the USMNT in the past year. It was his performance in both the semifinal and final of the 2013 Gold Cup that put his name potentially in the U.S.’s plans for Brazil. He is comfortable on both the left and right wing but will more than likely play on the right. He has played for clubs in Sweden, Scotland, and currently plays in France’s Ligue 1 with Nantes. The starting spot on the right wing is between him and Graham Zusi, but if one of them is willing to play on the left, both could possibly be on the field at the same time. Michael Bradley (above): The USMNT’s best player is an obvious starter in the center of midfield. He has a motor that doesn’t stop and is a great passer of the ball. His forward runs with the ball are exciting to watch and he has a cannon of a right foot. Look for Klinsmann to play him in a deeper role due to the coach wanting his best player with the best ball control playing close to the defense. It would take a lot of faith from Klinsmann in Beckerman or Jones to let Bradley push up the field and play a more advanced role. Brad Davis: A lifelong MLS player. Klinsmann loves Davis’s left foot on free kicks and corner kicks. He’s not a fast player, but he can be good to bring on when the U.S. needs to get crosses in the penalty area. Other than his left foot, Davis doesn’t bring too much to the table. Mikkel “Mix” Diskerud: A Norwegian American, Mix is a creative-type central player. He loves to create chances via good passes to forwards. His strength is passing and being good in tight spaces. His weakness is not being very strong in the air, and he rarely wins headers. He will be a great off-the-bench option if the U.S. attack needs a spark. Julian Green: A German American, he is the youngest member of this squad. He can play either as a left winger or as a forward. He has a lot of potential, but his actual skill level at the international stage is relatively unknown. He had played 30 minutes with the USMNT before being selected for the World Cup roster. Green is most definitely a player for the future, but we may see him this summer. 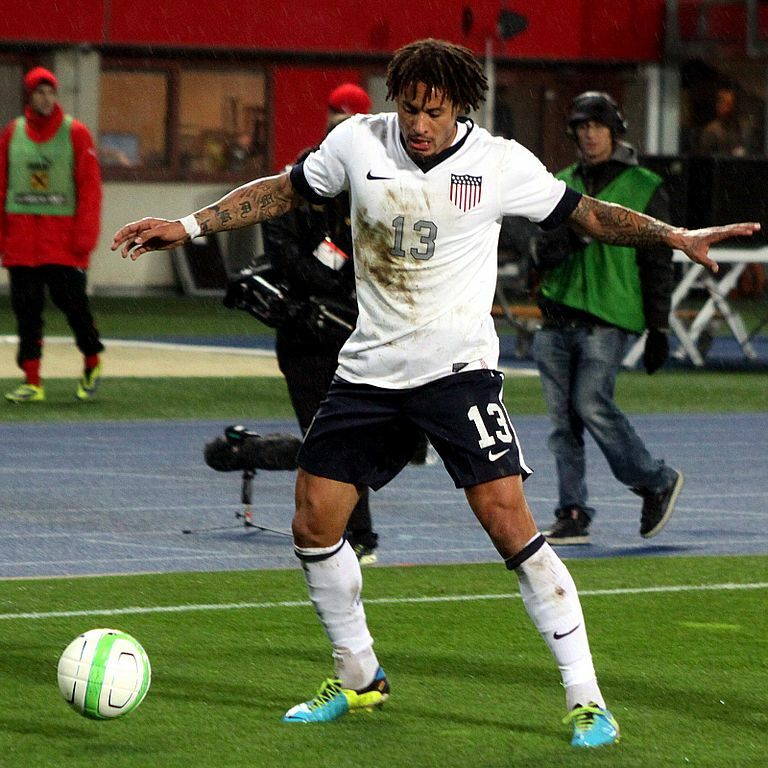 Jermaine Jones (above): Another German American, Jones was a starter for the U.S. even before Klinsmann took over. He is strong and has a rocket shot, but he can get caught out of position and make bad passes. His failure to track runs from the midfield have hurt the USMNT in the past. When he is running with the ball, he is either a genius at work or a time bomb waiting to happen. Klinsmann loves his imposing figure, so look for him to start alongside Bradley in central midfield — unless Beckerman jumps ahead of him in training camp. Graham Zusi: Zusi has a nice right-footed cross. He has seen a lot of time on the right side of midfield for the USMNT during World Cup qualifying, but he can also be useful on the left side, as well. His strengths are being able to cross with both feet and having a high work rate. He will track back and defend at the drop of a hat. His weaknesses can be drifting in and out of games and losing possession too easily at times. He may be the starter against Ghana on the right. 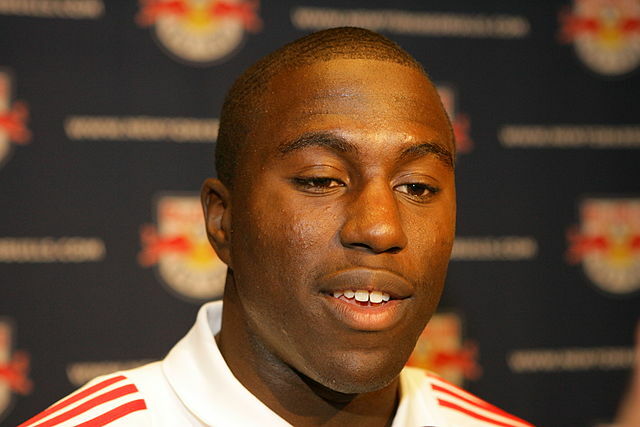 Josmer “Jozy” Altidore (above): The main source of goals in World Cup qualifying for the USMNT for much of 2013, Jozy has endured a tough beginning to 2014. His recent club season at Sunderland in the English Premier League was underwhelming, and he will want a goal very soon to build confidence. He has all the physical tools an international manager would want in a forward: size, speed, and strength. His biggest problem is his first touch. He struggles to keep the ball under control when it is passed to him and can turn it over to the other team. He will be a starter against Ghana. Clint Dempsey: Dempsey is the captain of this squad. He is the only player on the roster to have scored in the 2006 and 2010 World Cups. He is also the biggest wild card on this squad. When he is good, he is world class. When he is having a bad game, he looks out of sorts and plays on a different page than the rest of the team. His strengths are his finishing ability and drawing fouls for set pieces around the penalty area. The closer to goal Dempsey is, the better he plays. His weakness is getting the ball around midfield and not looking for teammates. He tends to keep his head down and tries to dribble through two or three players, rather than make a simple pass to keep possession. Look for him to play as a withdrawn striker aka right behind Altidore. Aron Johannsson: He is an Icelandic American, and Iceland was hurt when he chose to represent the United States. He is a good dribbler and can create his own shot in tight spaces, though he can be inconsistent at times. When the roster was announced, he had scored just one goal for the USMNT in seven games. Since forwards are judged on scoring goals, he’ll need to start finding the back of the net more. Chris Wondolowski: He has come on very strong in the MLS over the past three seasons, scoring many goals. He is a “poacher” type of forward, meaning that he lurks in the penalty area, waits for the ball to come to him, and can usually score with just one touch of the ball. His biggest weakness is that he relies on passes. If the team isn’t getting him the ball in the box, he is ineffective. He’s not likely to be a starter, but he can most definitely change a game with just one touch, so look for him to come off the bench if the U.S. needs a goal.